JA Jance will be in Columbus with the Thurber House on March 10. We talked about how she got started, why she doesn’t like the word “prolific,” and why you shouldn’t plan even fictional murders in restaurants. JA Jance discusses writing and the appropriate place to plan a murder (it’s not a restaurant). This entry was posted in Events to attend, Writing advice and tagged J.A. 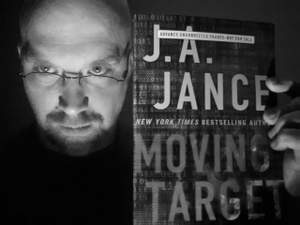 Jance, murder mysteries, Thurber House, Writing advice. Bookmark the permalink.